Running River School has closed its doors but will be continuing in a new form. We are leaving our website up for people who want to learn more about our unique school and philosophy of education. We are moving to New Mexico for 1-2 years to reflect on our last 20 years of work, research and plan our next education project for children, parents and teachers. We will also continue to run our Girl's Camp Courage in New Mexico as well as other non-academic camps beginning in the summer of 2020. WE CONTINUE TO DEDICATE OURSELVES TO A NEW PARADIGM OF EDUCATION WHICH ADDRESSES AND BALANCES THE INNER AND OUTER DEVELOPMENT OF CHILDREN, PARENTS AND TEACHERS. You can contact us at nancy@runningriver.org. We will continue to write educational newsletters which you can sign up for at the bottom of this page. The children researched, designed and built this nature park. Last Spring we had eggs in two boxes that hatched into Starlings and Kestrels! Watch the video below to hear from the children themselves. 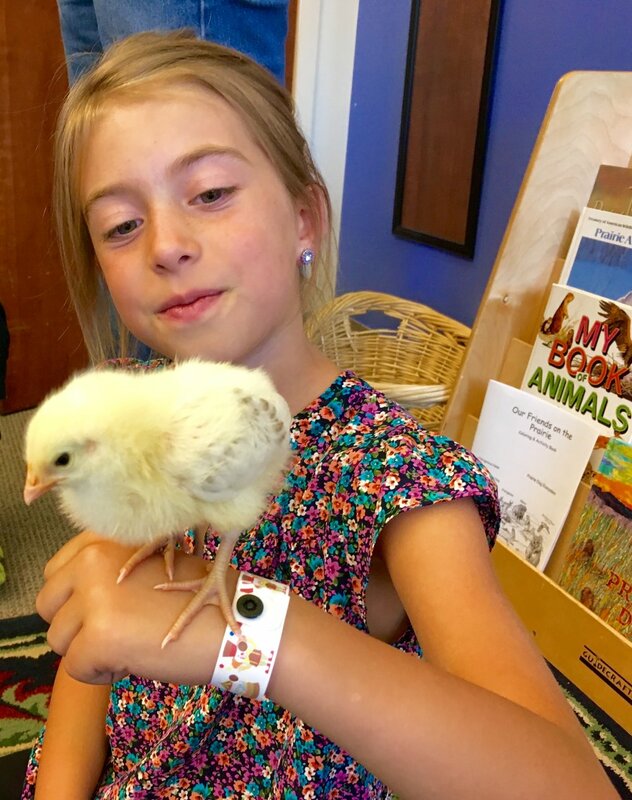 Read about the 2nd & 3rd Grade class raising baby chicks!! Running River achieves exceptional results by integrating leading educational methodologies while honoring the whole child in a loving and experientially driven approach. Our students are transformed by their education. See our school in action, meet the Director and participate in student activities. Receive a monthly newsletter with links and informative articles about education. What's new in education? Read articles, book excerpts, blogs, listen to radio shows or you tubes.